My last blog entry had me digging into some old black and white negatives. Along the way, it opened up some chapters of my life more than 30 years ago. With most of my photography shot in color, the black and white images have been largely unseen. One picture that caught my attention was a negative of my friend, Elvin Hooper. At the time, I was living and working in Elvin’s home town of Salvo. 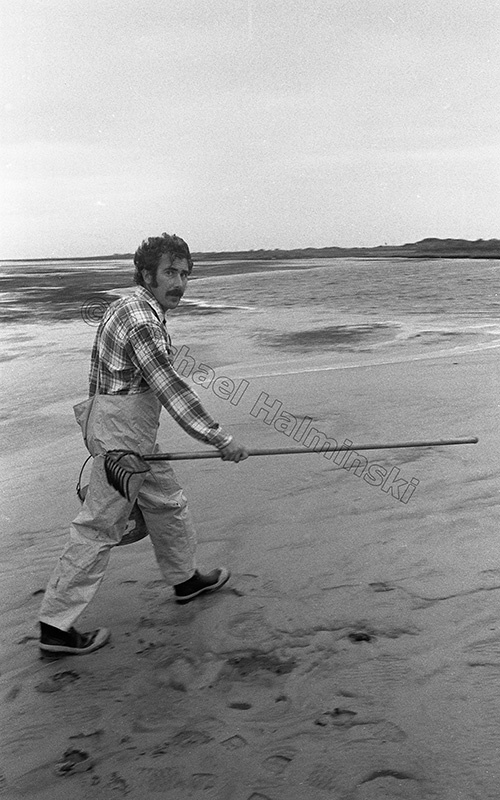 There was a northeaster blowing the sound tide out, and he picked me up to go to Brick Creek to look for clams and oysters. It was rainy so I took my Nikonos waterproof camera loaded with some Tri-X film. I’ve known Elvin ever since I moved here. Always a gentleman, he grew up in the village of Salvo and is a lifelong Hatterasman. The area was completely different then, he was a part of it and he loves to reminisce. He also writes, and has recently published 2 books. Two years ago, he called me about a cover shot for his first book. Entitled Chicamacomico How it was back then, it’s a fictional piece based on experiences growing up. 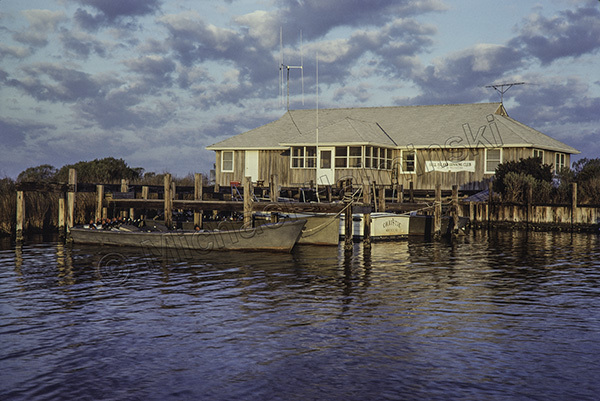 We chose a Kodachrome slide that I shot of Chicamacomico Coast Guard Station in 1974. 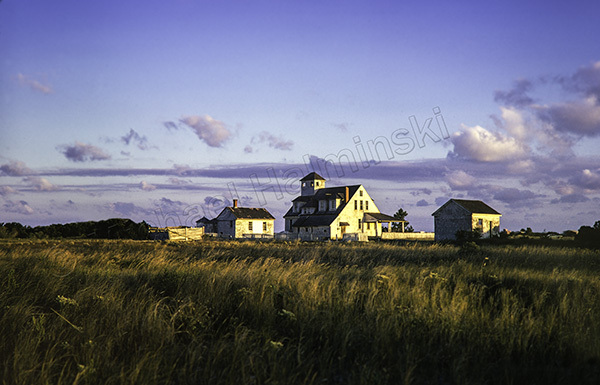 It shows a weathered building in an open field with nothing around it. That’s the way it was. About the same time he had another book in progress, a collection of personal memories called Gull Island and Other Stories. It was just published and launched 2 weeks ago. For me, it has some personal significance in that I spent several years as a hunting guide at Gull Island Gunning Club. For that cover we picked a shot of the club house taken in 1979. Elvin’s older brother, Burt, also worked as a guide at Gull Island. I got to know him and we became friends. We worked on lots of projects together for the hunt club, and Elvin dedicated the book to him. 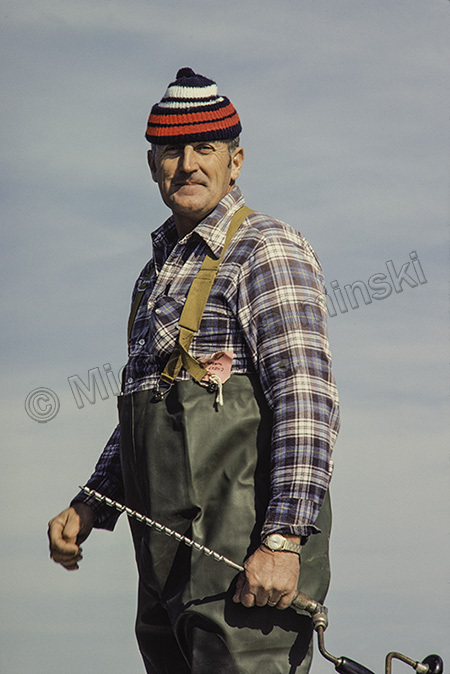 We used a picture of Burt that I took while we were building a duck blind in 1977. Books are available through the author or by contacting Gee Gee at Buxton Village Books, 252-995-2420. This entry was posted in buildings, history, hunting, Outer Banks, People on October 25, 2015 by j0jgvm89bj.